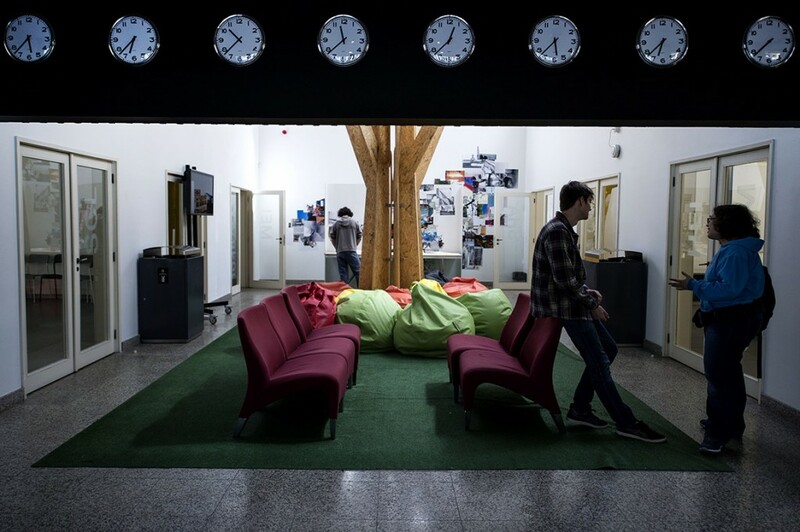 Porto Design Factory or, Kill the Classroom! 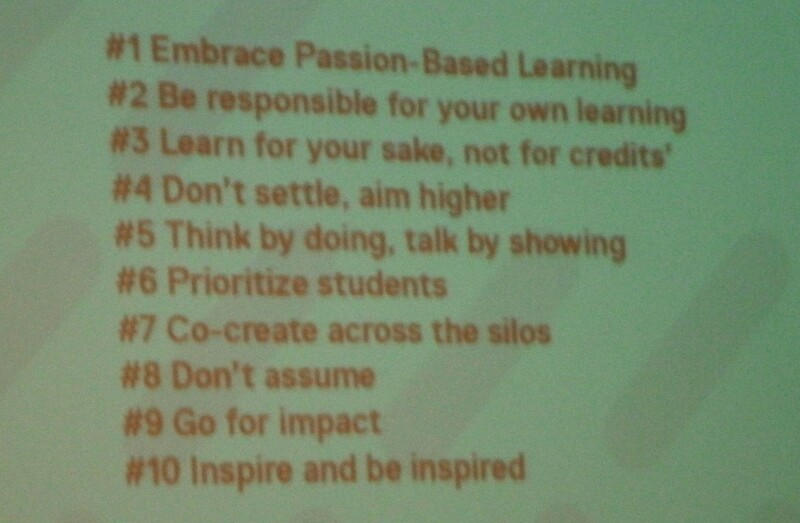 These are the principles behind the Design Factory, an experimental co-creation platform for interdisciplinary education, research and industrial collaboration. 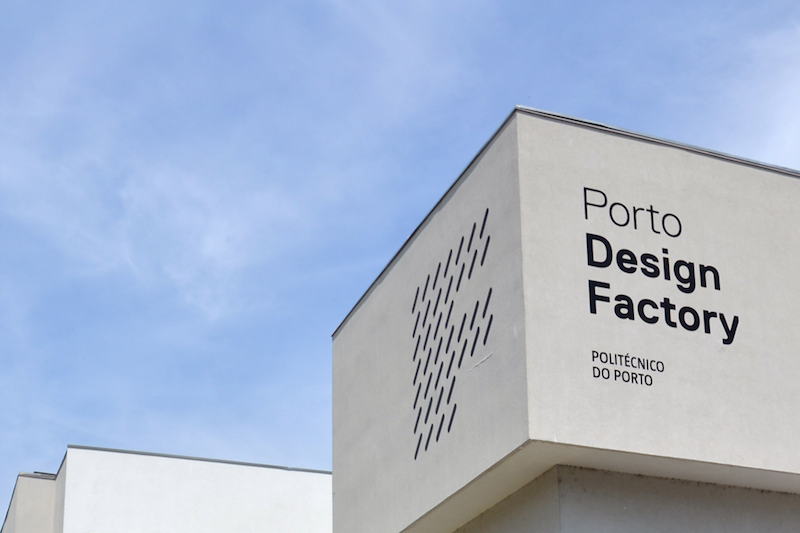 Natalia referred to PDF as an “offshore” entity because while part of the Polytechnical University of Porto (it occupies a really compelling campus building), it’s not associated with any one department. It’s a presidential project that has relative autonomy and is intentionally extra-disciplinary. It’s a space to bring students together to work on specific projects funded by business and agencies that need a particular problem solved. But those problems aren’t necessarily immediate, they’re often future-facing R&D concerns that students are given full freedom to explore. But there are conditions.There has to be a specific, real-world challenge they need to try and solve. They have to be international collaborators. And the working groups must incorporate several disciplines. That said, how they decide to solve the problem is not determined by the funding agency—it is entirely in the control of the working group. A twist I love. I was blown away by the presentation, and when they informed us it was 100 meters from the conference, I decided to visit it myself this afternoon. 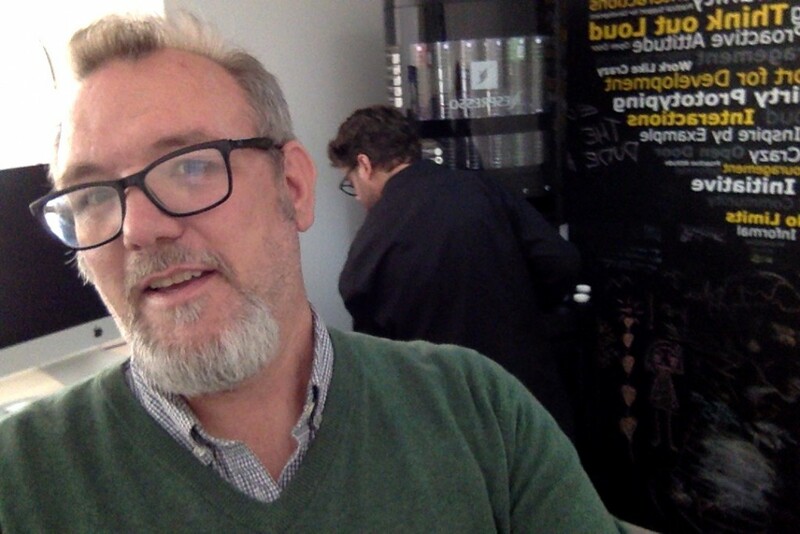 In fact, I am currently writing this post in the kitchen of the Porto Design Factory! It’s really a remarkable space, while rooted in the academic/pedagogical mission, it feels connected to the community as well as the business world. It feels like an academic startup of what could be, and incubator for new ways of imagining the classroom. When I spoke with the PDF’s coordinator, Rui Coutinho, he went one step further, suggesting they aim to “kill the classroom.” The space is premised upon each person taking full responsibility for their learning, by placing it within a communal context in which the motivation and challenge is grounded in something other than a test or a paper. It’s a product of of their thinking materialized into a collaborative effort to do something. While they aren’t necessarily against theory, philosophy and critique, this is not where that happens. This is where you come when you want to make something as a result of those ideas. What’s more, this is not a place for discussions about intellectual property and monetizing what is created, it’s a laboratory for working through the creation process. Another part of their ethic I found intriguing was the idea that everyone who spends time in the Design Factory needs to give at least 5 percent of their time back to the house. The quantify this with their own bitcoin-like system. When you help someone with something you get a coin from them, if you have no more coins you can’t ask for help until you help someone else. Give as much as you get! Another element I love is that the kitchen is in many ways the community hub. They have great espresso (some have claimed the best in Porto!) and it also serves as the umbilical cord to the other Design Factories around the world. 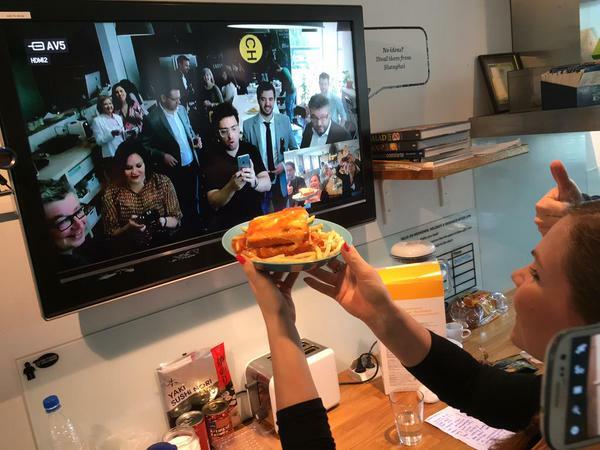 There is a TV in the kitchen overlooking the sprawling table that has a live feed of the kitchen of the Design Factory in Aalto University in Helsinki. It is a contact zone for the various spaces, and acts like a quotidian, collaborative portal between these creative communities. 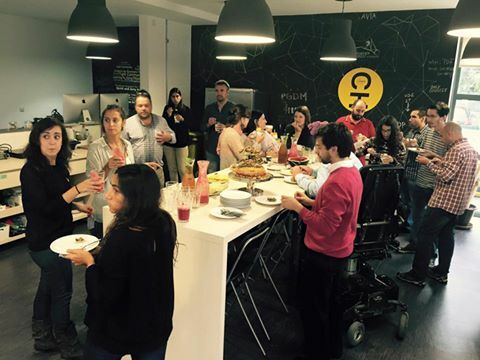 The community and culture is built as much around coffee and food, as it is around engineering, design, tech, and business. The experience has really gotten me excited for truly different teaching and learning spaces that feel real. This goes beyond the flipped class room, this is a view into what a flipped institution might look like. Let the students work through the theory and conceptual on their own, and come back with their questions—but also prepared to try and apply what they are learning to something outside their particular discipline, not to mention comfort zone. Kill the classroom, indeed, and bring it back to a vitality that re-inspires a whole generation of learners. This entry was posted in Uncategorized and tagged Porto Design Factory, teem15. Bookmark the permalink. 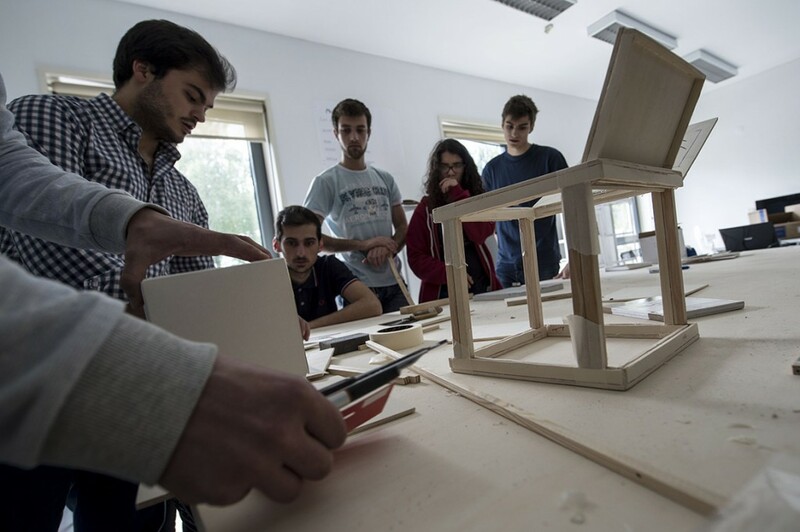 11 Responses to Porto Design Factory or, Kill the Classroom! It is interesting, and ironic, that the place is called a factory yet seems so much less factory-like than so many of the educational institutions we have here. It’s about a living and learning situation, rather than processing people through a system. Is that killing the classroom, or resurrecting it? I’m with you, killing it to bring it back to life! Uou! Your 5% went way above any expectations. We are flattered and honored to have you. Looking forward to start doing and demoing with you. Thank you for the inspired presentation. When are the bootcamps for folks who want to get a design factory up and running. Jim, this is one of the most exciting Bavaposts I’ve read. What an incredible place – I have seen a small hint of this kind of work this semester in a class I’m teaching in the ThinkLab. It’s an interdisciplinary course called how things work, 9 students from different areas, and we’re working on things like designing and building an automated response feeder cage for a bio prof’s experiments with mice, building floating wetlands platforms with the Friends of the Rappahannock river – also building a remote-controlled submersible with camera mount for them as well. This is such a great idea, I’ve been in education for many, many years now, on many levels, and I’ve never used the word “revolutionary” – but this is it! And a kitchen! I totally agree, the feel of this place was really powerful. There was a class working remotely with another class at Stanford university to build a paper bike. 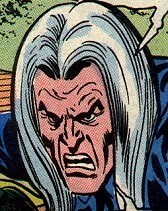 That was the challenge, and it was underwritten by General Motors. That said, GM had no say over how and what they produced as long as it was a paper bike. What I love is it returns R&D to the university in the best of liberal arts contexts. You’ve been doing this in a silo to some degree at UMW, but imagine the university president gave you a building and total freedom to work with these organizations. And, wait for it, actual promote and fund your work before taking credit for it!!! 😉 It was awesome, we should plan a trip yo Helsinki together, from what I understand Aalto University is ground zero for the design factory idea. Also, they run a bootcamp for people who are interested in getting one up and running. I am gonna try and sell the idea to some Italians here in Trento. We’ll see 🙂 Let’s do it. Why not? The bootcamp in Finland sounds great – I’m going to try and get some funding for that. 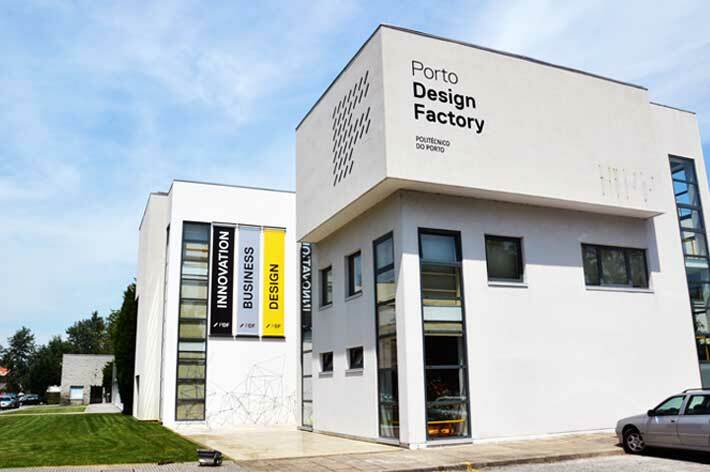 If I can’t I’d at least want to see the Porto Design Factory. How far is that from Trento? We try to go to Paris in the spring to visit family so a trip to Italy might just be the next stop. Support from the President, as a project he takes on and funds would be wonderful. As you know, many faculty here are very strong proponents for making umw a real liberal arts institution. I’m not sure what a liberal arts school is, to be honest, but the idea of combining the research/analytical skills/writing skills our students gain with some sort of involvement in a project that allows students to apply those skills in a meaningful way might just define what liberal arts education looks like. Anyway, I’ll be following the Bava as usual to see what happens as you work to develop this in Trento. I’d like to do a Skype or facetime session with you during my class to get your thoughts on what you see. If you have mortadella sausage as well I’m booking a ticket now! I second Jim’s request for a bootcamp. An amazing place.